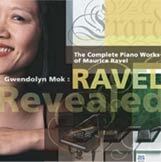 This extraordinary 2-CD set of Gwendolyn Mok performing the complete solo piano works of Maurice Ravel on a period Erard will be to sent to any who donate $100 or more to the Period Piano Center. A student of the last of Ravel’s own students, Vlade Perlemuter, Dr. Mok generously gave a lecture-performance sponsored by the Period Piano Center for the 2011 WESTPAC Piano Technicians Guild conference in Burlingame, CA, bringing her extraordinary 1860s Erard concert grand. Your contribution will help bring this experience to many more. How can I make a donation to Period Piano Center?